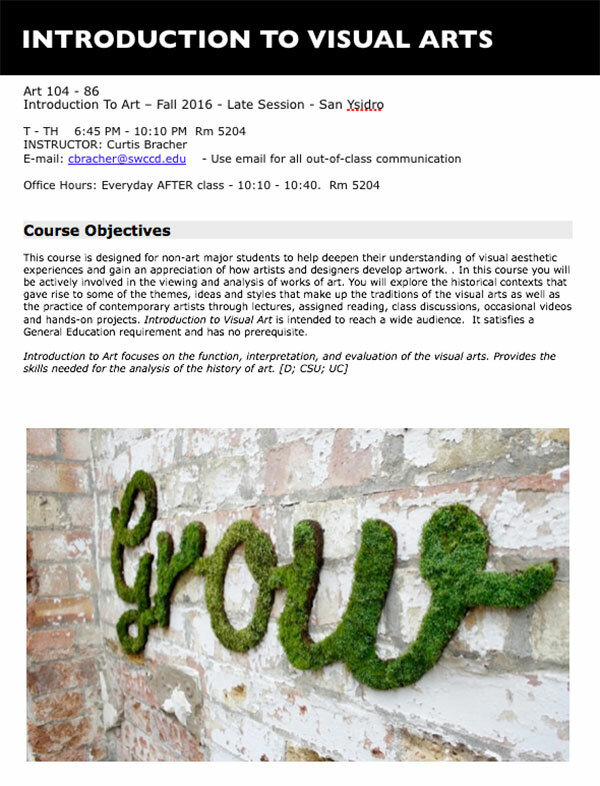 This course is designed for non-art major students to help deepen their understanding of visual aesthetic experiences and gain an appreciation of how artists and designers develop artwork. . In this course you will be actively involved in the viewing and analysis of works of art. You will explore the historical contexts that gave rise to some of the themes, ideas and styles that make up the traditions of the visual arts as well as the practice of contemporary artists through lectures, assigned reading, class discussions, occasional videos and hands-on projects. Introduction to Visual Art is intended to reach a wide audience. It satisfies a General Education requirement and has no prerequisite.